Paris is a wonderful city, full of treasures, and gardens are part of it, especially in the Springtime. 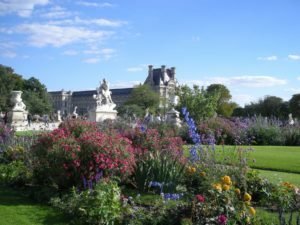 Here is a selection of some of the most beautiful gardens of Paris where to watch trees and flowers blossom on your next vacation in Paris. Designed in its formal French aspect in the 17th century by André Lenôtre, gardener of the Sun King, the Tuileries garden is located right in between Le Louvre and the Concorde square. It is of course a very central place to stroll but also a remarkable place for art lovers: after a private tour or a treasure hunt at Le Louvre museum, you can admire monumental statues and have a visit to l’Orangerie museum to see Monet’s paintings. 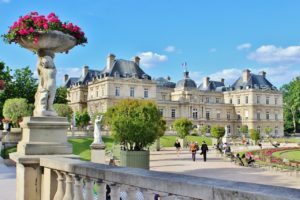 Created originally by Marie de Medicis for its palace in the 17th century, now the Senate, the Luxembourg garden is made of many hidden corners where you will face lovely statues, fountains, and even beehives. The garden is also an ideal place for toddlers that can ride ponys, a vintage carrousel from Garnier (the Paris Opera house architect) or push old wooden boats in the main basin. Take time to stroll hand in hand or read a book on the iconic green chairs to experience the garden like a Parisian. When you stroll in the south Pigalle (the so-called ‘So-Pi’) district in the 9th arrondissement, there is a private mansion hidden from the street. This property is called « Museum of the Romantic life ». 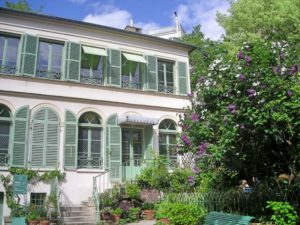 Located rue Chaptal, this museum is the former house of Ary Scheffer, a 19th century Dutch-French painter and art . Delacroix was his neighbor, Chopin also visited him and used to play the piano for the guests. A perfect place for lovers that want to have some intimacy in the heart of a very lively district, and sip a cup of tea at the lovely café heaten by the first sunbeams of the year. 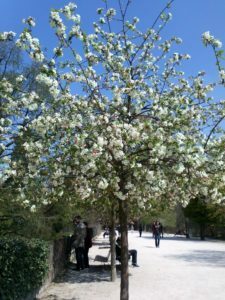 Located in the 5th arrondissement, the Jardin des Plantes is the most exquisite place when Spring is there, and especially the first 2 weeks of April. This is the time of the cherry blossom trees and colorful flowerbeds in this 19th century botanical garden. It is also the perfect place to visit with kids for your next family stay in Paris thanks to its great museums and galleries : the great gallery of evolution showing the evolution of biodiversity with its 7000 lifelike species and the paleontology gallery with dinosaurs’ skeletons.